I have been blessed with a neighbour who always seems to need to prune his front hedge whenever I’m tinkering in my garage, or arrive home on the latest two-wheeled offering. Each conversation starts the same, “Another new bike, is it?” Not that I really mind. I have had the world’s worst neighbours in the past, so someone interested in my comings and goings is a pleasant change. It also gives me a chance to babble on about bikes to someone else, even if he’s not really that interested. 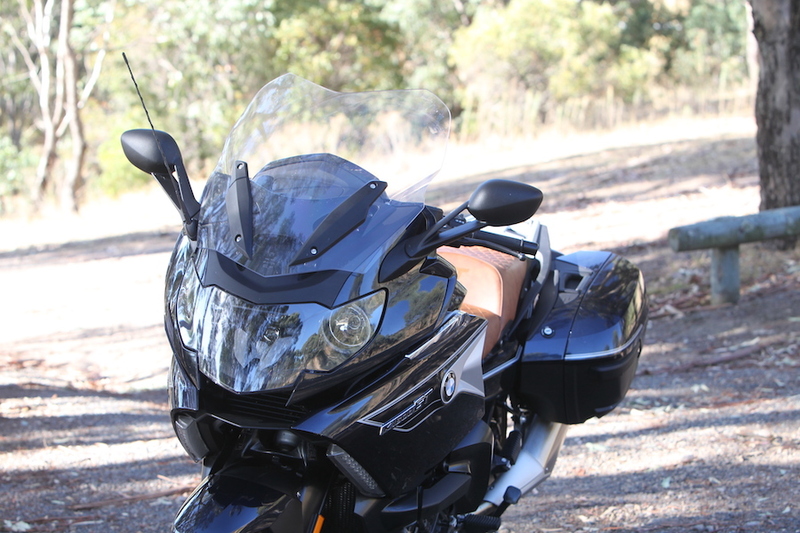 When I rolled into the driveway on the BMW K1600GT, ol’ mate had never seen anything like it. “Look at the size of that thing; it’s as big as a boat,” he said, not realising he’d just insulted the big Bavarian six-cylinder. All the details of that holiday have long since faded from my memory, except the signboard at Blowering Dam. A photo of Ken Warby’s Spirit of Australia jet boat in full flight, skimming across the glass-like water. Being nuts about anything to do with speed and mechanics, standing at that sign was the highlight of my trip. 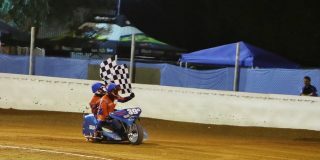 A quick Google not only revealed that Warby’s record remains unbroken, but his son David is soon going to have a crack at bettering the mark, at the same location. 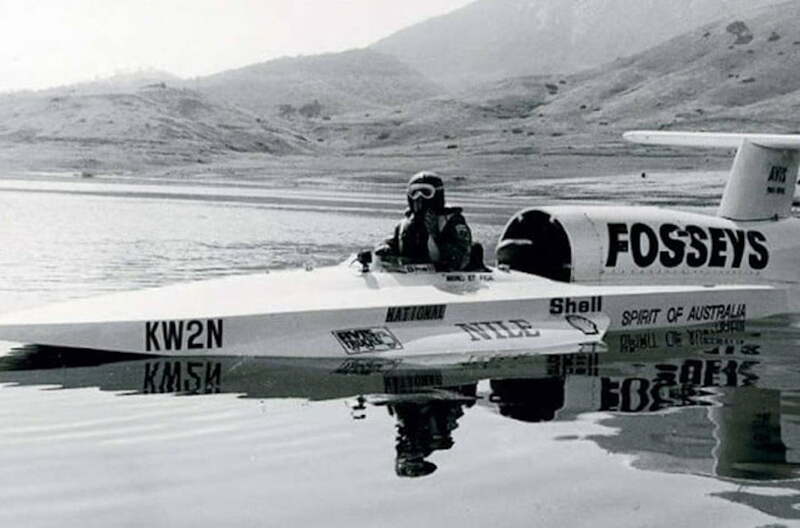 I have always been fascinated with the history of water speed racing, and decided to revisit the location of Warby’s record-breaking run the next morning. And not down the boring three-lane motorway that my folks took, but along the coast, up Macquarie Pass, across to Cooma, then along the Snowy Mountains Highway to the shores of Blowering Dam. 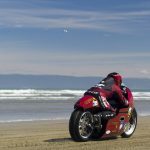 The K1600 range expanded for the 2018 model year with the inclusion of a new K1600B (bagger) and K1600B Grand America. 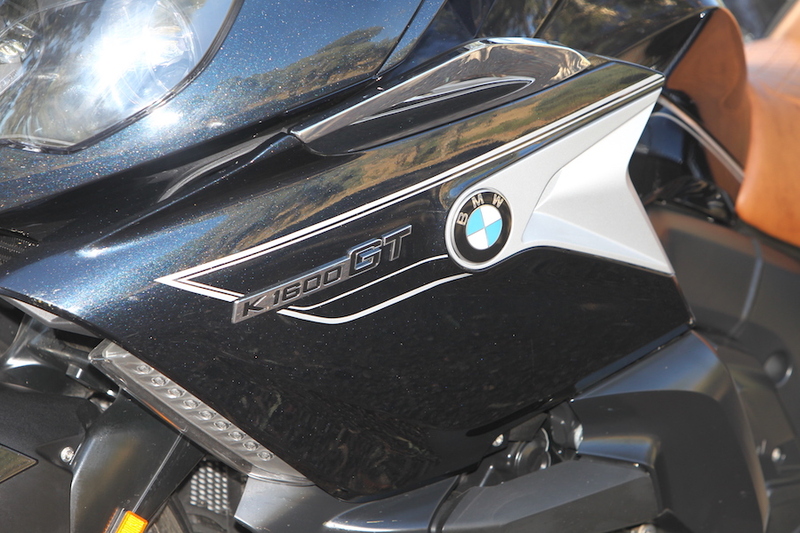 The K1600GT and K1600GTL also received minor updates, and the range received a reverse gear that uses the bike’s starter motor to crawl the motorcycle gently backwards. I found this feature comes in very handy, especially when you’re riding something with a wet weight a little over 330kg, plus another 15kg of luggage, and you park it nose-down. 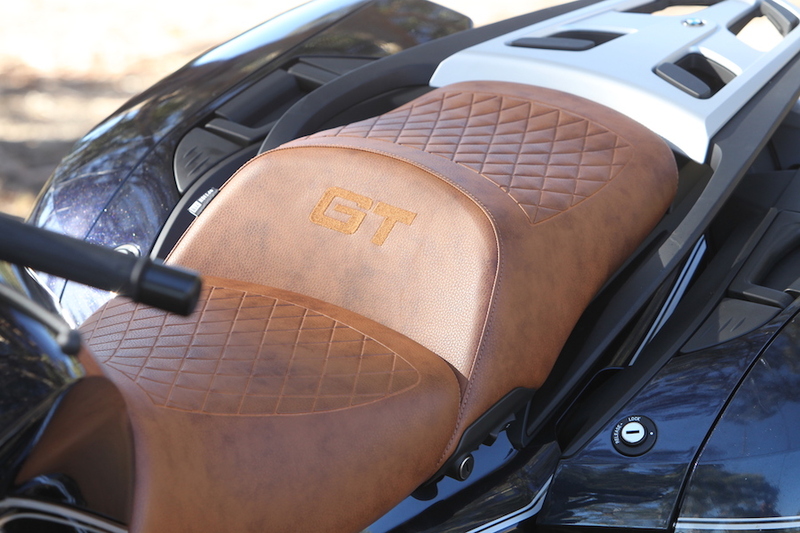 The GT, GTL and B models each have three variants. The K1600 chaperoning me to the dam is the top-of-the-range GT called the Spezial, which retails for $39,390 (plus on-roads). There’s also a GT Sport ($37,290) and GT ($36,790). My first impression was that BMW must charge by the button because this thing has more stuff to press and turn than a space shuttle cockpit, but it doesn’t take too long to work out what everything does, thanks to a well thought-out interface and digital dash. The additional investment of $2600 to move up from the GT to the GT Spezial gets you a list of extras, including ABS Cornering Pro, tyre-pressure monitoring and heated seats. 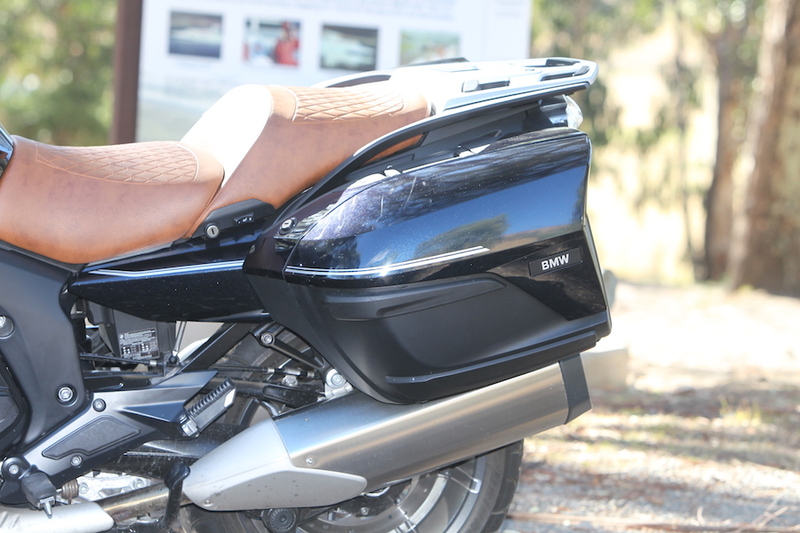 Our test model also came with the optional BMW Motorrad Navigator VI System ($1290). Standard equipment across the GT range includes keyless ignition, cruise control, adaptive headlights, sat nav-ready audio system with Bluetooth, central locking (for storage) and an anti-theft alarm. 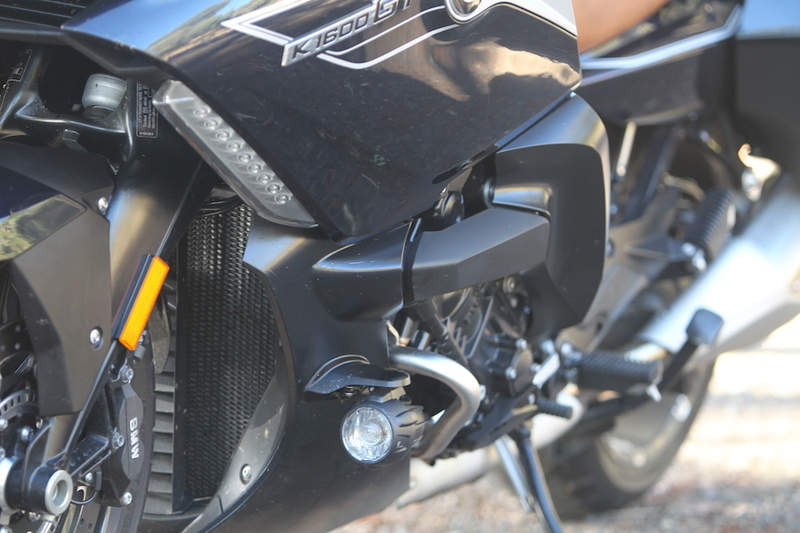 Aside from Euro 4 exhaust modifications, the 1649cc in-line six-cylinder DOHC engine is unchanged, punching out 118kW (158hp) at 7750rpm and 175Nm at 5250rpm. Cosmetically, a few aero tweaks have been made to make things even more comfortable in the pilot seat. BMW’s well-sorted Dynamic ESA semi-active suspension has a choice of Road or Dynamic settings, and electronically adjustable preload. It’s a weird sensation to feel the bike altering its ride height when you change the mode. 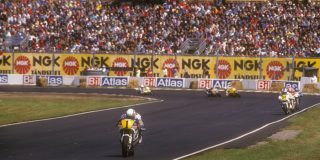 The linked braking is also connected to the electronic suspension, stiffening the front and rear suspensions under braking and acceleration. The two 33-litre panniers easily held a couple of days’ worth of clothes and all my camera gear, but care needed to be taken when retrieving heavier items from the side-opening pannier on the side-stand side to make sure they didn’t roll out. Two little lockable cubbies in the sides of the fairing are great places to store things like your wallet and keys, and to recharge a smartphone and connect it to the infotainment system. As soon as I pulled out of my driveway and accelerated down the street, I remembered just how much of a joy this big bike is to ride. Once moving, the physical size of the 2.3-metre two-wheeled equivalent of a Winnebago disappears. The ride down the freeway provided an opportunity to set the cruise control, turn up the radio and play with all the buttons and dials. 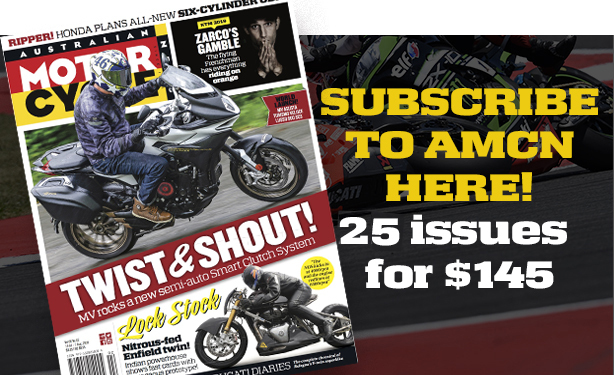 A three-day ride is not nearly enough time to explore all the features of a K1600, and it would take twice the number of pages to explain them all. Just take my word when I say there is a button for just about everything, and a scroll-through dash menu that tells you anything you want to know, aside from your horoscope. 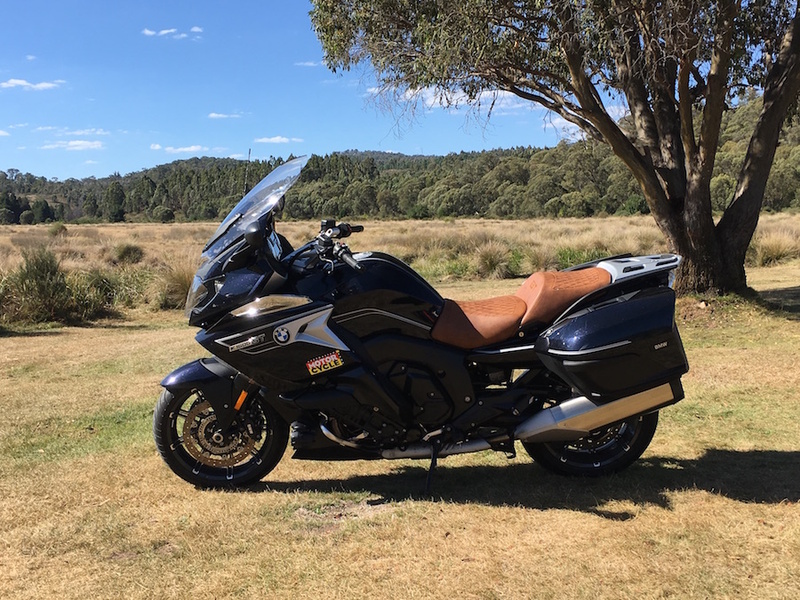 Despite being stuck behind a caravan most of the way up the legendary Macquarie Pass (see AMCN Rides on page 80), the first couple of hours cruised by in total comfort. But, as enjoyable as it was, it was getting a little dull, so I headed for the road less travelled, leaving it to the Sat Nav to make sure I didn’t get completely lost. 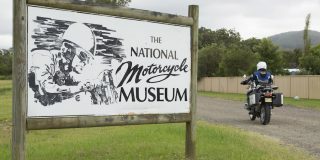 By the time I cruised into the town of Cooma, I’d logged almost six hours on the bike with only one stop for fuel and, other than a little tightening between my shoulders, I felt great. When things got a little chilly, I flicked on the heated grips but had no use for the seat heater thanks to the wind protection offered by the large electric screen and fairing. After a quick stop for lunch, it was time to tackle the Snowy Mountains Highway for the second time in just a few weeks – it’s becoming one of my favourite rides. 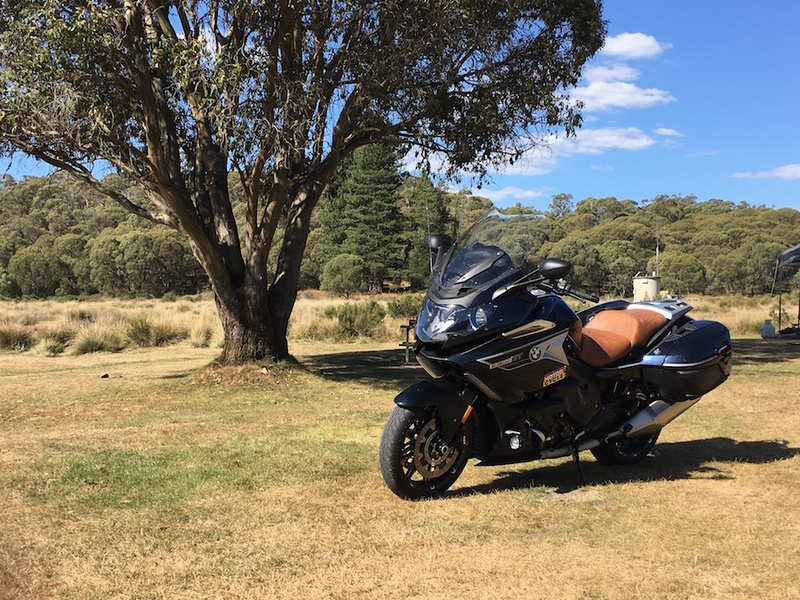 The beautiful twisting ribbon of bitumen that connects Cooma to Blowering Dam is fantastic on any motorcycle, but the K1600GT is near the top of the scale for awesomeness, thanks to a lovely weight balance and smart electronics package. With the electric suspension set to Dynamic mode, everything stiffens up a little more than in Road mode. 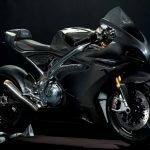 The system continually logs a range of parameters, including cornering angle, braking, acceleration and weight shift, 100 times every second, and adjusts the suspension damping to suit the road surface and how you are riding. 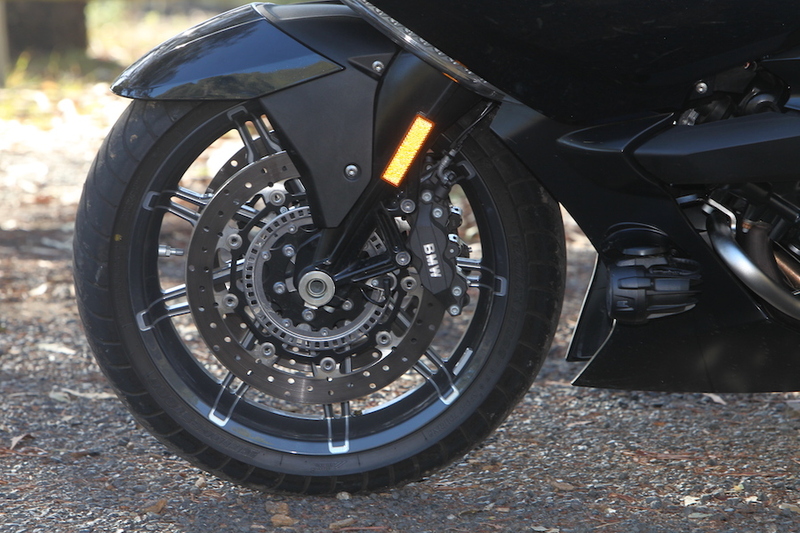 Working with the linked cornering ABS and excellent four-piston Brembo calipers, the bike sits flat and stable, soaking up undulations in the road surface that can make riding at speed hard work on some bikes. 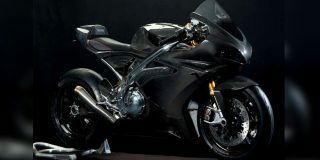 allowing you to throw the bike around with a bit of vigour. 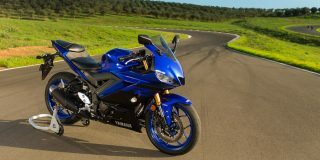 This thing might look like a big tourer, but it delivers an equal amount of exhilaration as a sportsbike, and the harder I rode it, the more I gelled with it. The crackling note the six-cylinder fires from the twin exhausts is like no other motorcycle on the market, and when you’re dancing up and down on the bi-directional quickshifter with the engine popping and the electronics auto-blipping the throttle, it sounds more like a Formula One car than a motorbike. 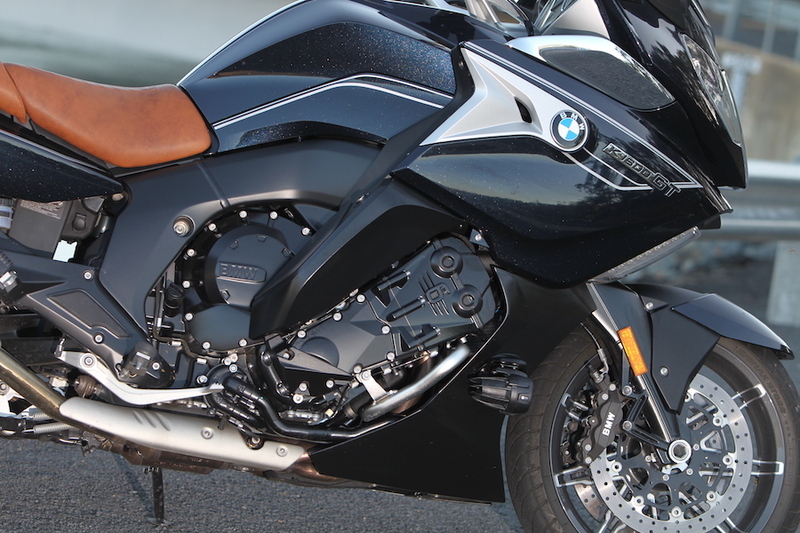 According to BMW, the K1600 delivers two-thirds of its maximum torque at just 2000rpm. This is one of the reasons it belies its size when being thrown at a twisting mountain road. 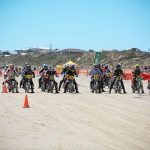 Twist the throttle on corner exit and the power comes on smooth and strong. 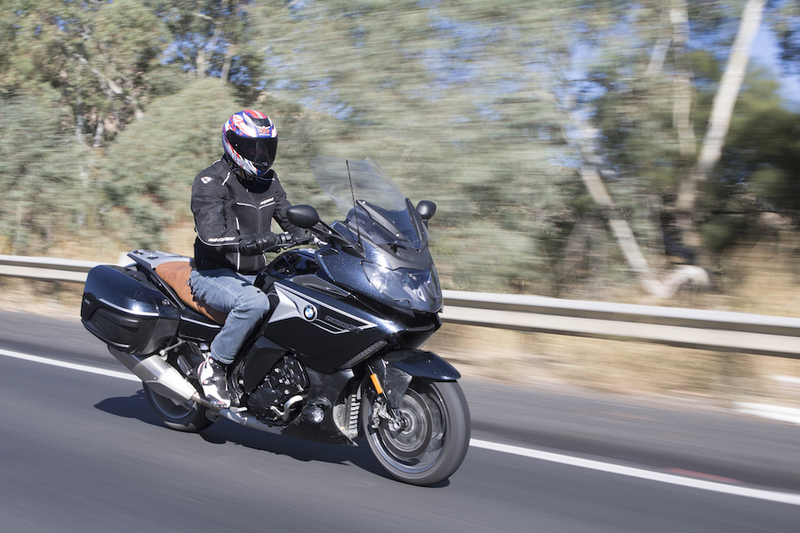 Nothing is sudden with the K1600, it all just flows effortlessly – and fast! 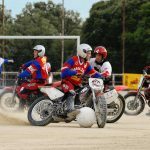 Having shedloads of torque available right off the bat, you would expect the bike to be a bit of a handful off the mark, but not in BMW land. The Bavarian boffins have provided a light clutch action with barely a hint of grab, and lovely low-revs fuelling that makes pulling away so simple even a beginner could do it. As the highway snakes down towards the vast and picturesque Blowering, you get a great view of the dam and its 20km stretch of water reaching from Talbino to the Blowering Dam wall. 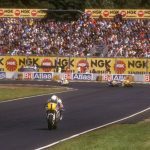 During its 1978 world record run of 510km/h (316mph), Warby’s Spirit of Australia was covering 140 metres every second; that’s one kilometre in just seven seconds. 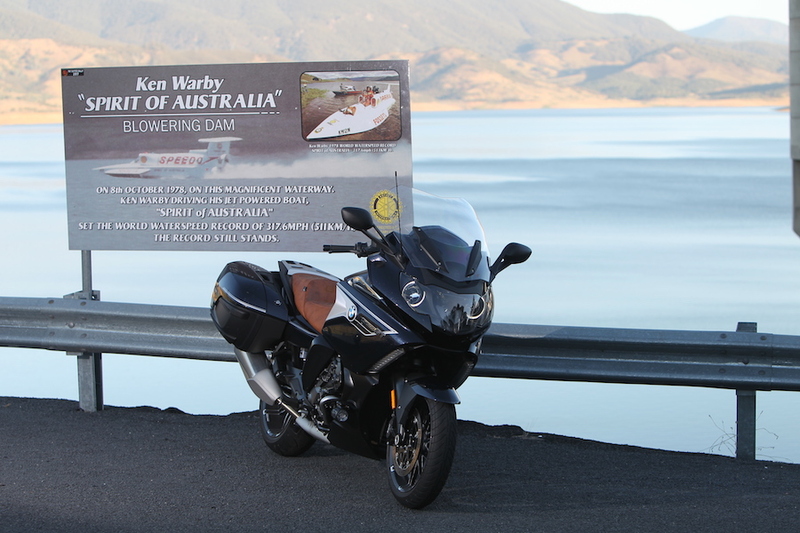 The 160km ride from Cooma to the dam had taken me a little over two hours, but Warby would have done it in little more than 18 minutes. The launching ramp at The Pines that Warby used is still in use, and now features a billboard celebrating his record-breaking runs. It is just a few kilometres from the dam wall, which still features the original billboard I remember standing next to all those years ago. Now, 40 years after the under-celebrated Aussie broke his own world record (see breakout), his son David is preparing to keep the family name the fastest on water with an all-new jetboat christened Spirit of Australia II. And he will launch his attempt from the very same ramp. Standing on the water’s edge, I thought about my fascination with speed. And while I love the idea of going fast, and I was more than happy with the K1600GT’s 280km/h-plus top-speed capability at my disposal, I’ll leave the really high-speed stuff to the experts.